UK music website The Line of Best Fit has rolled out its third annual Ho Ho Ho Canada Christmas mixtape, which you can download for free to help kick off your festive celebrations. 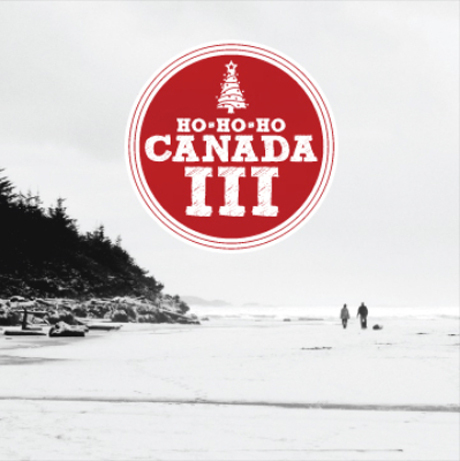 The compilation includes renditions of old classics, as well as some freshly penned tunes that match the yuletide theme, with Canadian greats like Jim Bryson, the Wooden Sky, Al Tuck and even Nardwuar's Evaporators all offering the perfect blend of Canadiana and Christmas. Check out the tracklisting below and download your free copy of Ho Ho Ho Canada III here, courtesy of The Line of Best Fit. 2. The Evaporators - "Who Are You?" 4. Apollo Ghosts- "Money Has No Heart"
7. Kith & Kin - "Bright Morning Stars"
12. Werbo - "Jesus Are You Santa?" 13. Les Breastfeeders - "Mantau De Froid"
14. Ryan Driver - "Oh Snow Angel"
19. Ivy Mairi - "Wintry City"
20. Kellarissa - "Enkeli Taivaan"
21. Al Tuck - "O Come O Come Emmanuel"
* Recorded for this compilation.